I'd be a liar if said I wasn't surprised that the second episode of The Wolf Among Us ended up being shorter than the first. In the case of The Walking Dead, the formatting was the other way around, and I guess I expected a similar situation here - that the first episode would lay the groundwork and familiarize players with the story and gameplay, while the installments that followed would expand upon that, each being longer/bigger than the one before it (or at least, considerably more substantial than the first episode). 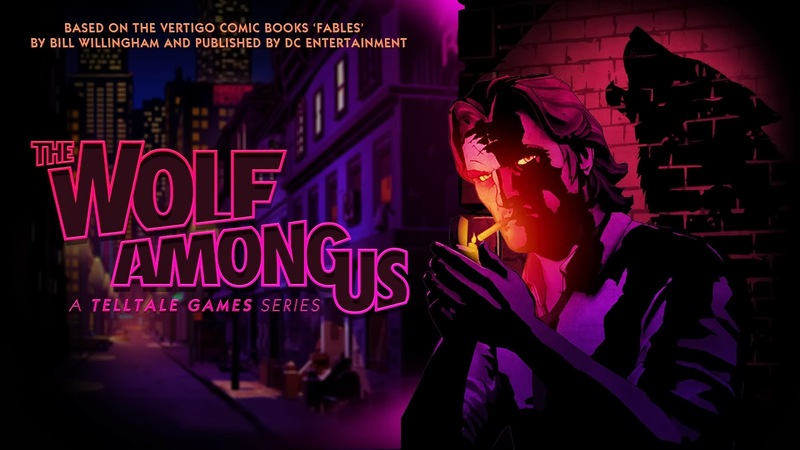 It's not to say that the second episode of The Wolf Among Us was disappointing per se, it's just that I expected it to run almost twice as long as it did. Still, the pacing was wonderful, and the plot twists intriguing. I suppose it's really a matter of quality over quantity with a fantasy world detective story like The Wolf Among Us, and to that end I don't have any major complaints with the way the second episode was handled. I do have a minor complaint, however, and that is the 'next time on The Wolf Among Us' preview at the conclusion of episode one giving away far too much. It showed snippets of practically every major event, and while it didn't spoil the nitty-gritty details of episode two's plot developments, I would have appreciated more surprises. Hopefully episode three delivers better on that. A few months back, three hidden (and presumably legendary) Pokémon were discovered by individuals who broke down the coding of Pokémon X and Y. While none of these three Pokémon were obtainable through traditional means within the games themselves, Diancie, Hoopa, and Volcanion were discovered to all be recognized by the games, and were even accepted as trade requests via the GTS. Diancie has now been officially confirmed as a new Pokémon on the Kalos Pokédex, and though no details have yet been revealed as to how or when it will be available, Nintendo and Game Freak have released a trailer in order to assure fans that specific details will be released soon. Little Mac joins the roster for new Super Smash Bros. This announcement comes as no surprise to me, really. When R.O.B. debuted in Brawl and Mr. Game and Watch made his return, I felt Little Mac would make a perfect addition to the selection of retro Nintendo characters within the Smash Bros. universe. I mean, after all he is a fighter to begin with, so it only makes sense, though I am glad to see that the development team incorporated some combat mechanics unique to Little Mac in the upcoming Wii U/3DS releases. This Little Mac reveal follows hot on the heels of a number of other Smash Bros. roster confirmations, including the return of Zelda and Lucario, and the debut of Super Mario Galaxy's Rosalina. It is highly unusual for me to get past this far into a Pokémon game without having a full team that I intend to try my best to carry on through the Elite Four and League Champion battles. Even though I swapped out Chimecho for Azelf during the late hours of my Platinum playthrough, I still knew that I wanted a psychic-type Pokémon to complement the other members of my party. While I intend to keep Sableye, Torkoal, Breloom, and Loudred, I’m having second thoughts about keeping Pelipper at my side – he’s decent enough, but his jack-of-all-trades role has been similarly filled by Loudred, the latter of whom does not have a four times weakness to electric-type moves. Finally, my current sixth party member, Castform, is something of a one-trick pony – not entirely useless, but a slow horse out the gates at the start of any battle, unless the weather is already in his favor. 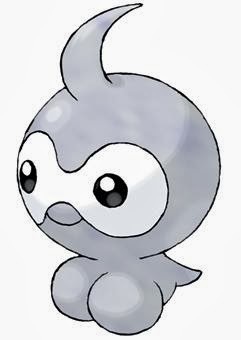 It’s a shame, really, because I like the way Castform looks, and his distinct forms are a clever idea, but the time it takes to utilize any of these takes far too long. I’m also coming to realize that these routes being so single-minded in their focus on trainer battles and wild encounters may not be as great as I initially believed. Nearly every area I’ve come across thus far had to be explored for some angle of the main game, leaving little in the way of optional sidequests or bonus content. When I played through Platinum, one of the things I found a bit annoying was how there was a plethora of half-baked ideas from the sidequests and minigame content, but in Sapphire, those elements have been practically nonexistent thus far. It was around the time that Ruby, Sapphire, and Emerald left their mark on the world of handheld gaming that the Pokémon community began drawing their dividing lines between the games and claim one generation or another as the ‘very best’ (pardon the play on words). This process of fans aligning with one generation or another as their personal favorite became even more prominent after the DS titles came onto the scene. Long before playing Sapphire, I had heard exceptionally good things across the board, from personal friends of mine as well as the anonymous Pokéfan masses of the internet. Honestly though, I think that Sapphire is currently a little below Platinum with regards to my own personal enjoyment with the game. While I appreciate the Pokémon native to Hoenn, the game itself feels too cut-and-dry an experience. Yes, gen IV was far from perfect, with its insistence on pushing old and boring Pokémon during wild encounters and its over-reliance on event-distribution legendaries, but at least the overworld was colorful and the gym leaders a decently interesting spin on the familiar. The majority of Sapphire’s main game has been rather predictable, and the fact that Team Aqua and Magma are so thoroughly uninteresting only hinders the game's aspirations. I realize that it’s difficult to live up to the wonderfully-plotted ideals of Team Plasma, or the classic villainy of Team Rocket, but the expansion of the sea/land depending on which version of the generation III experience you are playing is simply yawn-worthy. Does Pokémon Sapphire look good for its day? Certainly. Does it play well enough? Sure. But does it feel anywhere near as inspired a title as any of the other five generations of Pokémon? Not even close.